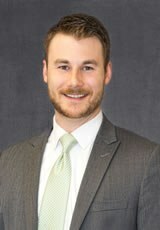 Jordan T. Klein wins judgment in favor of a local Shelbyville business at trial. The plaintiffs sought several thousand dollars in repair costs and claimed the local business negligently installed a defective appliance in their home and failed to diagnose and repair the unit. Plaintiff also claimed the appliance was too costly and not as energy efficient as they were promised. The evidence presented showed the system was properly installed and showed no defects even after several years of use. The Judge ruled that plaintiff had not met his burden of proof. Jordan Klein, Erickson, Davis, Murphy, Johnson & Walsh, LTD.
132 S. Water St., Suite 610 Decatur, Illinois 62523 (p) 217-428-0948 (f) 217-428-0996.